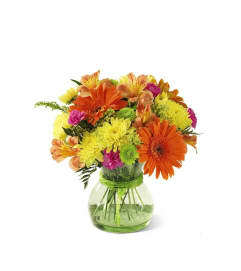 FTD® proudly presents the Better Homes and Gardens™ Blooming Visions™ Bouquet. Offer them a bouquet blooming with a "fresh from the garden" appeal. 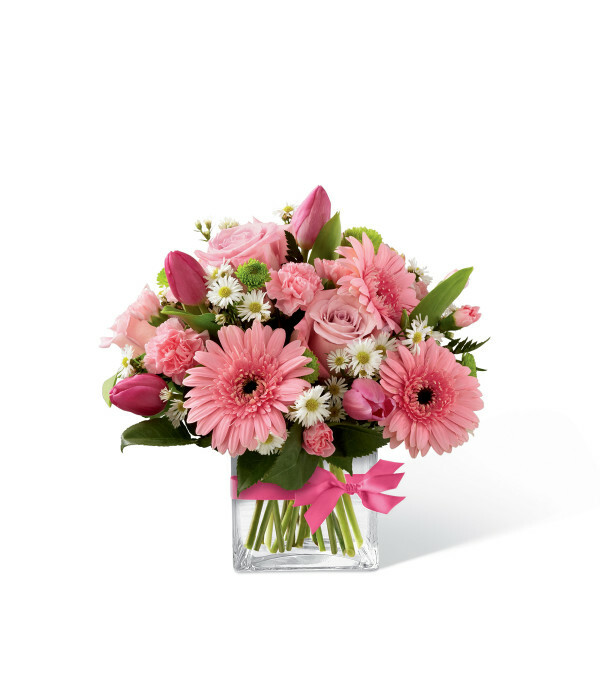 Pink roses, carnations, mini carnations, and gerbera daisies are accented with Queen Anne's Lace and lush greens. Gorgeously arranged in a clear glass cube vase accented with a pink satin ribbon, this bouquet is a soft and graceful way to send your warmest sentiments. GOOD bouquet includes 13 stems. Approx. 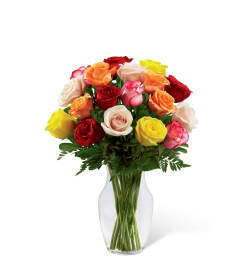 11"H x 11"W. BETTER bouquet includes 20 stems. Approx. 12"H x 12"W. BEST bouquet includes 27 stems. Approx. 13"H x 13"W.